The Evolution Galapagos cruise is a mid-size, four-deck vessel offering thoughtful itineraries, attentive staff, and modern facilities with Old World charm. 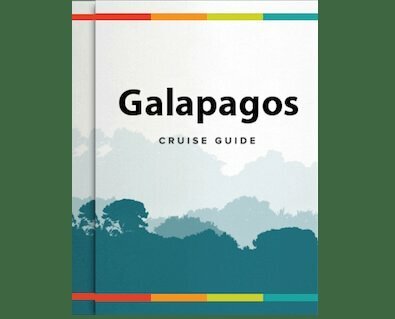 For those looking for a Galapagos cruise that makes sure your once-in-a-lifetime trip fulfills all expectations, the Evolution is a wonderful (and very popular) choice. The Evolution Galapagos cruise offers two itineraries, both 8 days and 7 nights, offering guests two unique but equally popular experiences. Why do different itineraries? Because, frankly, there is simply too much ground to cover in just one week! The terrain and species in the Galapagos vary wildly from one side of a bay to another, let alone from one end of the archipelago to the other.What is important, though, is that each itinerary makes sure to cover the most important sites on the islands, including those harder to reach areas. Unlike other tour operators in the Galapagos who maintain a compact itinerary to cut costs, we believe that the true Galapagos experience involves visiting the most remote islands as well. So, on both of these itineraries, you’ll see that we visit only the best spots possible and do what it takes to bring you there. The first itinerary on the Evolution Galapagos cruise leaves from Baltra Island, and will take you “In the Steps of Pirates and Darwin”. The second Evolution itinerary leaves from San Cristobal Island, taking guests on “Footsteps Back in Time”. Both will include nature walks and hikes upon the islands, snorkeling with incredible marine life, opportunities for kayaking, and Panga rides around rockier shores. Passengers continue to rave about amazing animal encounters and well-chosen landing sites on both of the itineraries. With the two itineraries alternating each week, guests who can choose to do both for the complete Galapagos experience. Whichever itinerary you choose, one week or two, you can be sure to leave having had remarkable experiences, with an understanding of the depth and breadth of all the Galapagos Islands have to offer. Though the itinerary will make you eager to explore every minute that you can, we’ve made sure the facilities onboard the Evolution are the best possible. Cabins on the Evolution Galapagos cruise are designed with a touch of Old World elegance, with rich décor and comfortable amenities rarely found on a moving vessel. Staterooms on both the Darwin Deck and Cormorant Deck are available with options of either a queen bed or two twins, and portholes allow natural light to filter in. Upgrade to the premium staterooms on the Cormorant Deck for additional space, or perhaps the Albatross Deck suites with large windows offering impressive views of the passing scenery. For the ultimate in seafaring luxury, reserve one of the Albatross Deck Master Suites. These full-beam rooms are the largest onboard the Evolution cruise, with queens beds and large windows. All staterooms and suites have a private bathroom, air conditioning with in-room controls, safe box, luggage and clothing storage, and a telephone. The full-size bathrooms are notably spacious, with all of the modern amenities you need, including a walk-in shower, vanity, toiletries and a blow dryer. Outside your elegant rooms, enjoy some time in the sun, complete with magical views of the natural surroundings. On the Beagle Deck, guests can lie out and sunbathe in the comfortable chaise lounge chairs, or perhaps hop into the hot tub after a long day of exploring. The al fresco bar is run by our knowledgeable barman, available at any time for whatever request you may have. Bring your refreshments over to the al fresco lounge, a comfortable outdoor sitting area for kicking back. Take a break from the sun in the main saloon, a comfortable and soothing indoor area perfect for tucking in with a book, or listening to daily briefings by the naturalist guides about each day’s excursions and wonders. The Evolution’s reception is also available on this deck, with our attentive staff ready to help you with whatever needs you may have. Perhaps the only thing truly able to pull your focus away from the astounding scenery while on the Evolution Galapagos cruise can be found in the dining room. Our gourmet menu is prepared and served daily here, often a highlight of each guest’s journey with us. Breakfast and lunch are buffet style, while dinner is served in either here or out in the al fresco lounge. Every meal offers wholesome quantities, and exotic tropical fruits are always available. Special menus for vegetarians or those with any other dietary restrictions can be catered to upon request. Families will love the special children’s menus, available during our Family Oriented Evolution Galapagos cruises. Should you realize you have forgotten any essentials at home, or perhaps are looking for some quality souvenirs, make a stop in the Evolution boutique. Necessities such as sunscreen, sandals and insect repellent are offered here, as are items worth bringing home. Find the perfect Panama hat, polo shirt, Galapagos books or even underwater camera to use during and after your Evolution cruise. As you enjoy the Evolution Galapagos cruise’s facilities, your experience will only be made more enjoyable by her well-trained crew. This 192 ft. yacht carries a total of 21 crew members to tend to the 32 guests on board, for one of the most desirable overall crew to guest ratios in the Galapagos. This crew includes 2 naturalist guides (1 for every 16 guests), plus 1 cruise director. The remaining staff make sure everything from reception to housekeeping to the medical clinic are running smoothly, and are here to make your trip as comfortable and enjoyable as possible. Make the most of your time in the archipelago on the Evolution Galapagos cruise, with some of the most thoughtful itineraries, staff and attention to detail offered in cruising. - Galapagos National Park Fee ($100 adults, $50 children).